Thank you for your interest in a guest post on A Crazy Family. We cover a range of topics such as health, food & drink, fitness, beauty, crafts & DIY, saving & making money, self-care and anything in between. But, any blog post idea that is helpful is welcomed. Note: not all blog post ideas will be approved. An author bio promoting your blog, and/or social media profiles. We accept well-written, original articles. Articles should range between 800-2500 words. How To or List titles – We like headlines to be a list post or How To, but we also consider all others. You may include up to 3 links back to your blog (like referencing a specific blog post). **I may add my own affiliate links to your post, as well as edit to meet SEO requirements and/or format. **By submitting a post, you are giving A Crazy Family explicit permission to publish the content on ACrazyFamily.com and all social media accounts, as well as promoting it via other channels. You understand there is absolutely no financial return for your submission (we do not pay for guest posting). How Do I Submit An Idea? Please email me (acrazyfamilylife@gmail.com) with your blog post ideas. Please use “Guest Post Submission” for the subject line. If your post idea is approved, you must email your post, any images, author bio text, and author links. Depending on the number of submissions, your posts will be published 2-6 weeks out. What Happens After I Guest Post? When your blog post is published on A Crazy Family, please do share it on all of your social media profiles. This will help you grow your brand, audience, and traffic as well as your credibility in your blog niche. We will also promote your post on our social media profiles. Please DO NOT copy your blog post and publish it on your blog or another blog. You retain all rights to your content, but if you decide to publish it on another website, unfortunately, we will have to unpublish it from our site. This is to avoid having duplicate content out there and can confuse the search engines and benefit neither blogs. 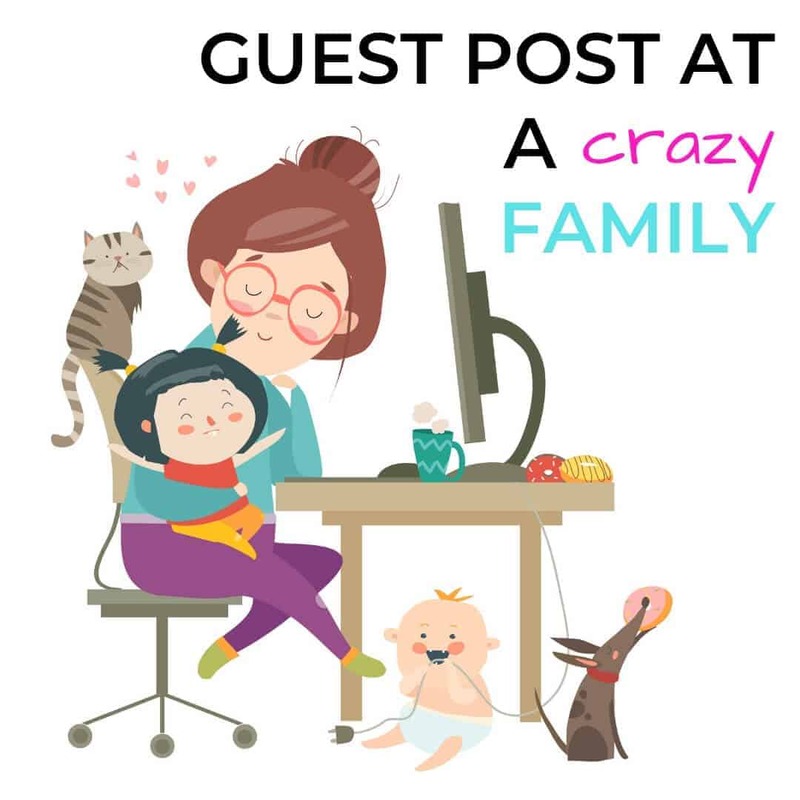 If you enjoyed guest posting on A Crazy Family, we would love it if you guest post again. If you guest post at least 2 times, we will add you to our contributor page! Share your advice, tips, and inspiration with others! Please note that some of this site’s links are affiliate links, and a crazy family is a participant in the Amazon Services LLC Associates Program, an affiliate advertising program designed to provide a means for sites to earn advertising fees by advertising and linking to Amazon.com. At NO ADDITIONAL COST TO YOU, I will earn a small commission, if you purchase them. Please note that these are products I know/use and recommend to my customers as they are good products. 2019 - Jayandel. All Rights Reserved. We are using cookies on this site to personalize content and ads. We share this information with social media, advertising, and analytics partners. Cookies are small pieces of text sent by your web browser by a website you visit. A cookie file is stored in your web browser and allows the Service or a third­party to recognize you and make your next visit easier and the Service more useful to you. Cookies can be “persistent” or “session” cookies. Analytical/performance cookies. They allow us to recognize and count the number of visitors and to see how visitors move around our website when they are using it. This helps us to improve the way our website works, for example, by ensuring that users find what they are looking for easily.